There are many scenic tourist attractions in Tsuruta. 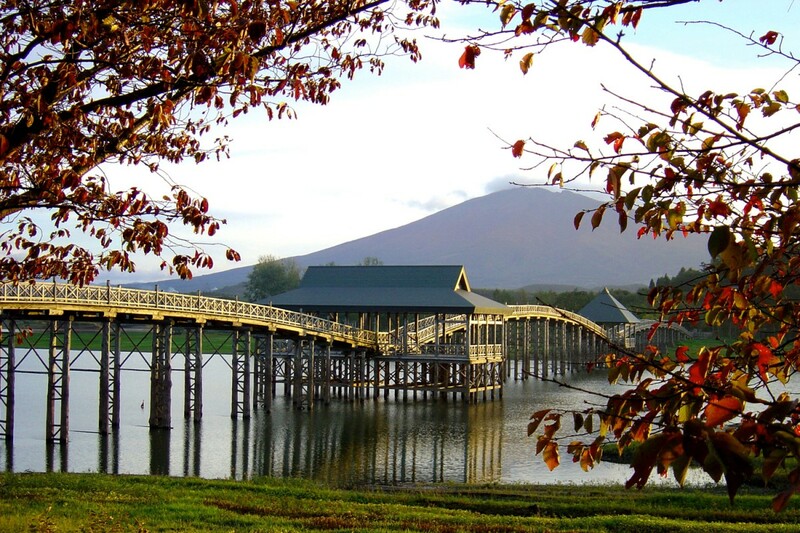 Fujimi Lake Park is a lakeside park featuring picnic and barbecue area, playgrounds and open play areas. 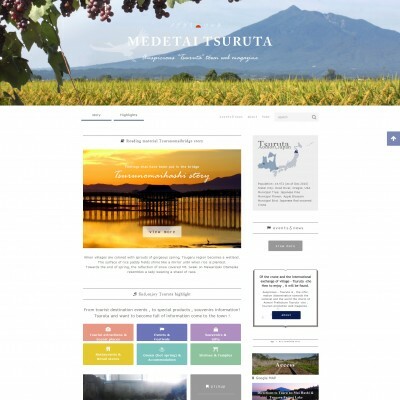 Other popular destinations include the longest triple arched wooden bridge in Japan: Tsuru no Mai Bridge, the home of red-crowned crane: Crane Nature Park, 30-meter-tall Fir tree with 6 meter girth: Todoroppo and pick-your-own Steuben Grape: You-pick Grape Orchards. 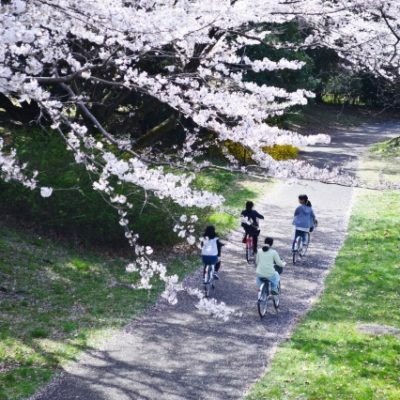 Stunning view of fully bloomed cherry blossoms during Cherry Blossom Festival at Tsugaru Fujimi Lake Park. Nebuta parade along a main street in central Tsuruta. Making 216-meter long Ryujin Sushi Roll with locally grown rice. Fireworks and Ryujinsen parade at Tsugaru Fujimi Lake. 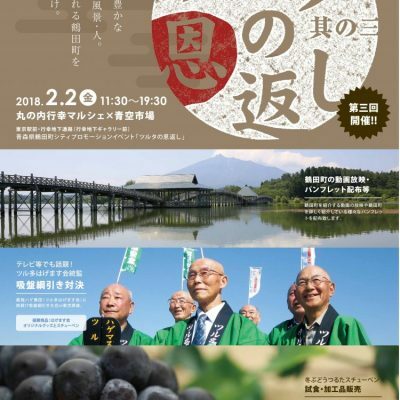 These are some of the exciting events happening in summer in Tsuruta. 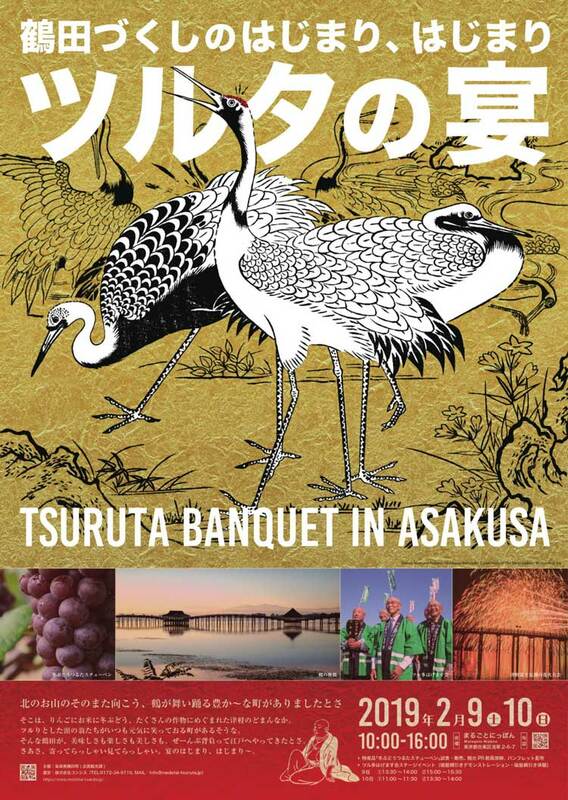 Try Tsuruta’s specialty products and fresh produce. Popular items are oversized “Jumbo series” products that are 3-5 times bigger than a regular size, sweet and juicy Winter Grape Tsuruta Stueben and locally grown apple and cherry. 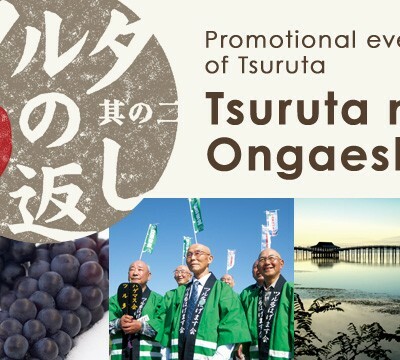 Nutritious and healthy product “Tempeh” made from soybean and “Tsuru no Ongaeshi” sake that is made from locally grown rice are also available for purchase. Contact information and maps of cafés, coffee shops, Japanese sweets bakery, Chinese and Sushi restaurants, and diners are provided. You will also find information about supermarkets, taverns and other shops that are local’s favorite hideaways. Onsen (hot spring) and accommodations in Tsuruta offer a relaxing time with spectacular views every season throughout the year. Onsen and accommodations information such as business hours, fees and parking are provided as well as maps and pictures of the facility exteriors. 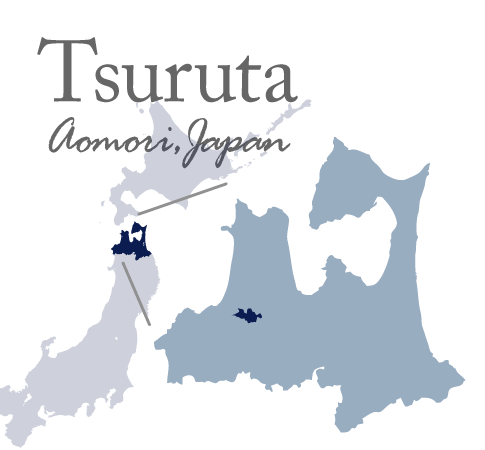 Visit each Onsen as they all have different characteristics and hot spring elements. Local residents have faith in Oni (the demon) and Suikosama (the god of water). There are about 30 shrines that Oni is enshrined at Torii gate in the area of 4 cities and 3 towns particularly in the northwest Tsugaru County. Information such as address, map, and photos of enshrined Oni and Suikosama are provided.